We chose Somerford for my mom's adult day service because of the proximity of the place and their flexibility. Everything was clean. They were wonderful and everything is worked out. The staff are friendly and caring. I was not impressed with Somerford Place of Encinitas. It seemed very dated and dreary. They have four communities in their memory care, and they're very small with 14 people in each community. It just seemed too quiet and a lot of people there weren’t even conversing with anybody. They're more affordable, but we just didn't want to put my mother-in-law there. Debra, I am the Executive Director and was sorry to read your perceptions of our community from your recent tour. Our intimate living neighborhoods are designed to combine the comforts and feeling of home with the senior care services that enhance quality of life for our residents and peace of mind for their families. Somerford's Bridge to Rediscovery Alzheimer's care program is personalized for each resident, leveraging their strengths in building a foundation of learning and success. Please let me know if I can be of assistance as you look for senior living options for your mother-in-law. Thank you for your consideration. I had a very good impression of Somerford, and the person who gave me the tour was very knowledgeable and welcoming. They gave a very good service. The dining area was pleasant, clean, and well attended. They had group activities in the activity center, there was singing, and there definitely was a lot of stimulation. I was impressed by the outside patios of Somerford Place. I thought that they had some really nice areas for people to sit, and it was aesthetically very pleasing. The landscaping impressed me, which is important because my father likes to walk outside and has always been someone who's paid attention to the lawn. I felt that the staff was average. I received a phone call from a family member that has their parent in Somerford. She said that once her family member was there, they told her that she had to pay for a 24-hour sitter, which was not mentioned to me during my tour; that's a problem. They need to educate their staff and give full disclosure about what's going to happen. Had I chosen this place and put my father there, and then they told me that I needed to get a 24-hour sitter, I would have been really upset. I'm just very thankful that I found out before he was in there. Some of the rooms were OK, and the ones that were available to me would have been OK. There was one that I liked, but I didn't like the feel of the rooms at all because they aren't carpeted. I understand why they don't have carpets to avoid germs and because it keeps the place cleaner since it's easier to clean, but the room itself felt very cold and the floor just wasn't nice. Our specialized programs give people with Alzheimer's and other types of dementias the specialized care they need. Every resident's situation is unique and the services required for one resident may not be required for another. We would love to spend some time with you to not only tour our community again, but to discuss your specific situation, address all of your concerns and give them the attention they deserve. I liked The Somerford Place; I thought I should have placed my wife there. I was impressed with the marketing director; she invited me to come over, visit, and tour the place. She showed us the inside and outside perimeters, which are all secured and all locked. There is no way a client could escape. They have different activities for different levels of memory care and assisted living. They have singing and dancing. They have invited us to a luau, so I’m going to try that. The rooms are spacious; the dining area is a little better. I think the staff is better geared for the facility. Somerford is perfect for my mom. The room is perfect for an Alzheimer’s patient, and it is set up specifically for memory care. She shares a room with another person because that’s all she can afford, and the size is perfect for her. They have activities throughout the day so they always kept busy. The facility is great. I would recommend this place. Although they seemed to be short staffed a lot, it is setup perfectly and designed nicely. They have four different communities and each community has a living room type of area with a fireplace and a television. They’re all kind of grouped together, but they are welcomed to wander wherever and meet and talk. It’s setup for social interaction which is great. Somerford Place of Encinitas is a very small facility. The people there are very nice. It was very nice and very homey. If it were closer to us, it might be something that we would consider. At Somerford Place, we understand the challenges for those living with memory loss and for the people who love them. Providing care and support twenty-four hours a day takes a great amount of energy, emotional strength and a great deal of support. Our award-winning Bridge to Rediscovery&reg program helps give people with Alzheimer's and other types of dementias the specialized care they need as they rediscover the joy in everyday life. We have day, overnight and live-in options to fit any of your needs. Bridge to Rediscovery: Celebrating Life through Rediscovery is inspired by the Montessori-style approach used for education throughout the world. Now applied to dementia care, the Montessori tradition focuses on the individual's unique needs and situation, and helps them learn through meaningful, hands-on activities designed to help them continue to engage with the world around them. Bridge to Rediscovery: Celebrating Life through Rediscovery is a winner of the prestigious Assisted Living Federation of America's (ALFA) "Best of the Best Awards". We are proud to offer this award-winning program to our residents. 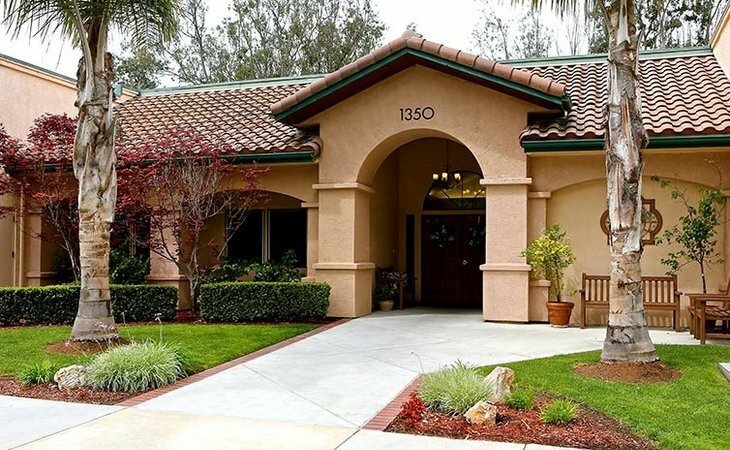 What should caregivers and potential residents know about Somerford Place of Encinitas?